New York Knicks basketball will be back in exactly one more month. The Knicks will begin their season with a trip to Oklahoma City to visit reigning NBA MVP Russell Westbrook and newly acquired Paul George on October 19th. The game will be nationally televised on TNT. The Knicks first preseason game will be on October 3rd as the play host to the Brooklyn Nets.. Knicks basketball is literally right around the corner. Let’s take a look at a few updates and notes as the Knicks prepare for the upcoming season. According to Ian Begley of ESPN.com, Michael Beasley says “Carmelo Anthony is a mentor and he’s looking forward to playing with Anthony. Beasley made it clear that his relationship with Knicks associate head coach Kurt Rambis “had a lot to do” with him landing in New York. Beasley continued by saying he has now dropped 20 pounds in preparation for the new year. 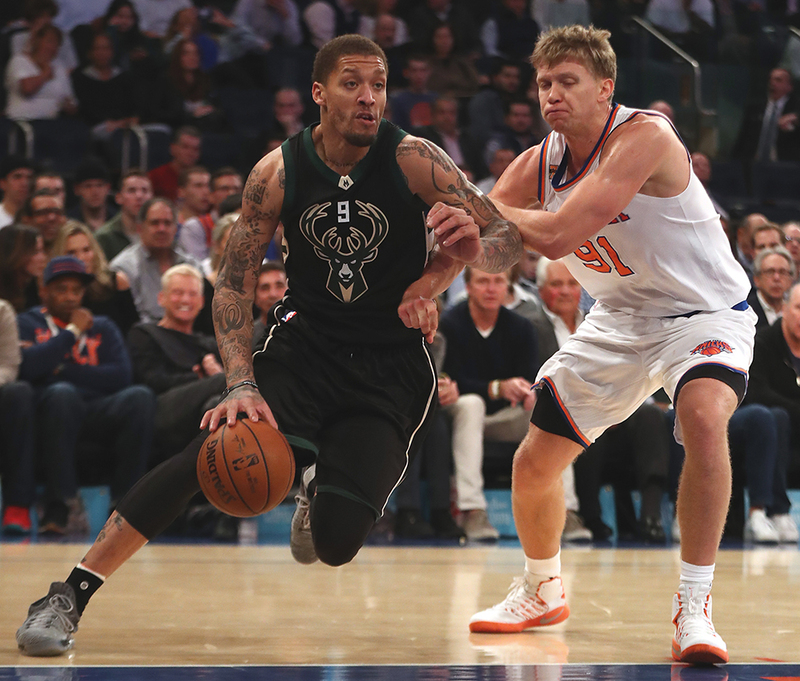 Beasley continued “If Tim Hardaway Jr., Carmelo Anthony, Kristaps Porzingis and myself (are on the roster) – those are four guys that can score 25 points per game….I think we’ve got a position to be not only a playoff team but a five, six seed team if we do it right”. Carmelo Anthony was recently ranked 64th in ESPN’s player ranking system. Anthony was notably ranked below players such as Robert Covington, Malcolm Brogdon and Lonzo Ball. This led to Anthony calling out ESPN on his instagram account saying it was “blatant disrespect”. Draymond Green came to the defense of Anthony. In a Q&A with Chris Haynes, Green admittedly voiced his opinion claiming “he ain’t no f—ing 64th”. The Knicks and free agent point guard Jarrett Jack have come to an agreement on a one year – non guaranteed deal. Jack will serve as a veteran mentor and will compete for a roster spot. The Knicks roster currently stands at 20 players heading into camp. The Knicks cannot add another body unless they waive or trade a current player. The Knicks have 14 guaranteed contracts on the books with one remaining roster spot open. It is expected that Jarrett Jack and Chasson Randle will compete for the final spot. Jack has the advantage over Randle as long as Jack shows he is now recovered from his knee injuries. A roster spot for a two contract is still open. Undrafted rookie center Luke Kornet will fill the first two contract that was newly implemented this year. Jamel Artis, Nigel Hayes and Xavier Rathan – Mayes will compete for the final two way spot. Xavier Rathan – Mayes may have a slight advantage over Artis and Hayes as Rathan – Mayes competed in the FIBA Americup with team Canada. 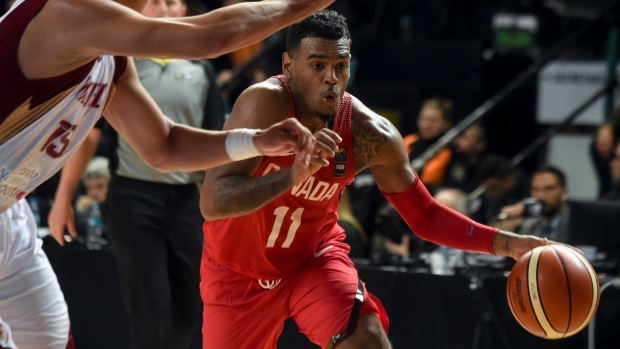 Rathan – Mayes proved to be a key contributor in his three games for team Canada averaging 28.1 minutes per game, 14.7 points, 6.3 assists and 5.7 rebounds.